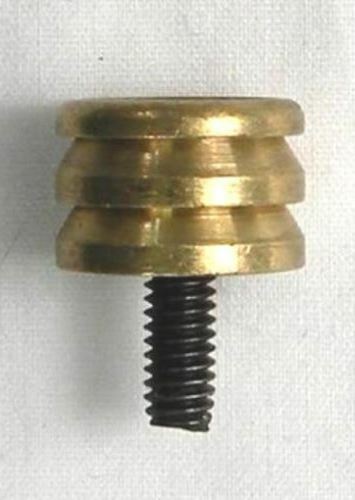 These brass button jags are for small diameter ramrods and cleaning rods where a tapered shank jag is not necessary for patch clearance. The jags have a spherically cupped end to allow loading a muzzleloader without removing the jag from the ramrod. All jags have a steel threaded stud.